Cirneco dell'Etna - Creta del Gelso Bianco (imp. 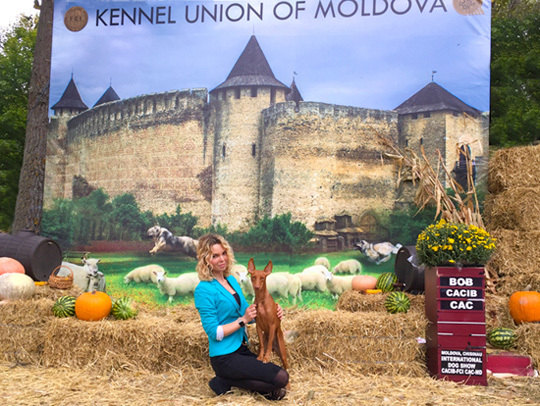 Sicily) after really long holidays enters the ring again, this time in Moldova CACIB dog-show and again wins, cups, titles. It was a long way with awful roads - more photos at my FB profile, 12 hours driving one way and 7 way-back and 1300 passed. We did it. 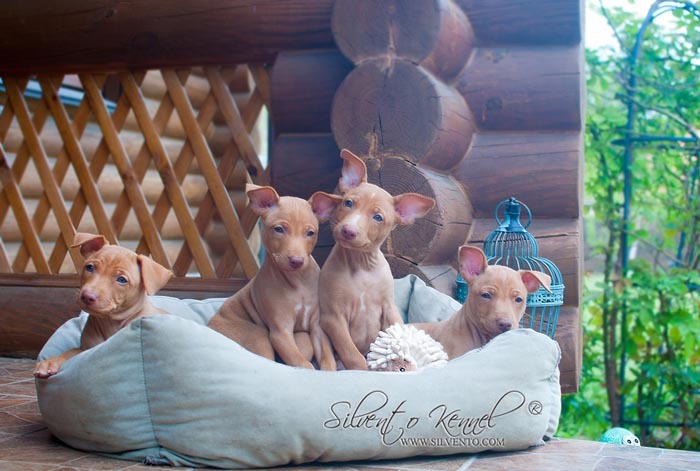 I have the BEST cirneco in the world! 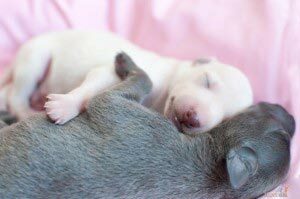 My cirneco female - Creta del Gelso Bianco had funny friend, italian sighthound Clelia Fiesta Ventura (btw - daughter of Silvento Diamantine Tenera) who became JCH of Moldova. Many thanks to the judges Galina Zhuk, and Polunina Olga for their time and work during awful rain in the rings outdoor. Proud of my red baby, thanks for being so wonderful dog!